I’ve been trying to figure out what to do with all my dryer lint. My parents have a plastic bag hanging on a hook where they put theirs, but I wanted something a little prettier. I looked for a tutorial online for a lint holder, but couldn’t find one I liked. I didn’t want to spend a bunch of money on a container just to hold lint! The cat ran out of food, which gave me an idea. I used some paint my wonderful mom had given me, a Sharpie I had lying around, and a foam brush from a dollar pack of 10. 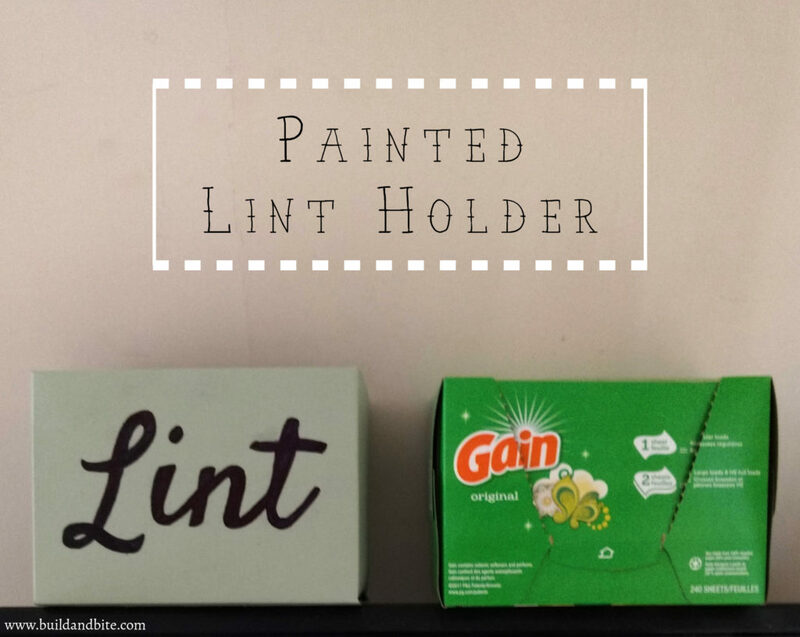 This is a super cheap and easy craft that will brighten up your laundry room and hide all the dryer lint you have lying around. Admittedly, it took me a couple days to complete my lint holder, but I was in no hurry. I painted three coats, letting dry overnight between each coat, which was why it took me so long! Then I used a Sharpie to paint “Lint” onto it. But guess what? It stopped working halfway through my project! I had to wait until the next day to finally complete this cute little project. I’m super impressed with how it turned out considering I used a cardboard box. Fold the flaps inside. 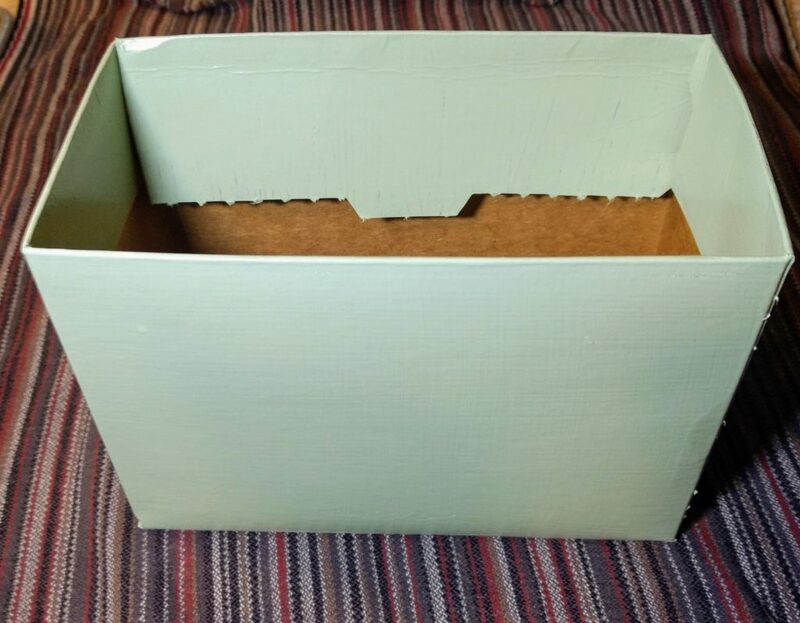 I thought about cutting them off, but I wasn’t sure of my cutting abilities and I didn’t want to have to paint the inside, so painting the flaps makes it so you can’t see the cardboard inside. Pencil the word “Lint” onto the box. I went over the pencil with a dark black Sharpie, you could use a paint pen or something similar instead. Step number three is to act as a guide. If you have amazing penmanship, then you can skip this step if you’d like. 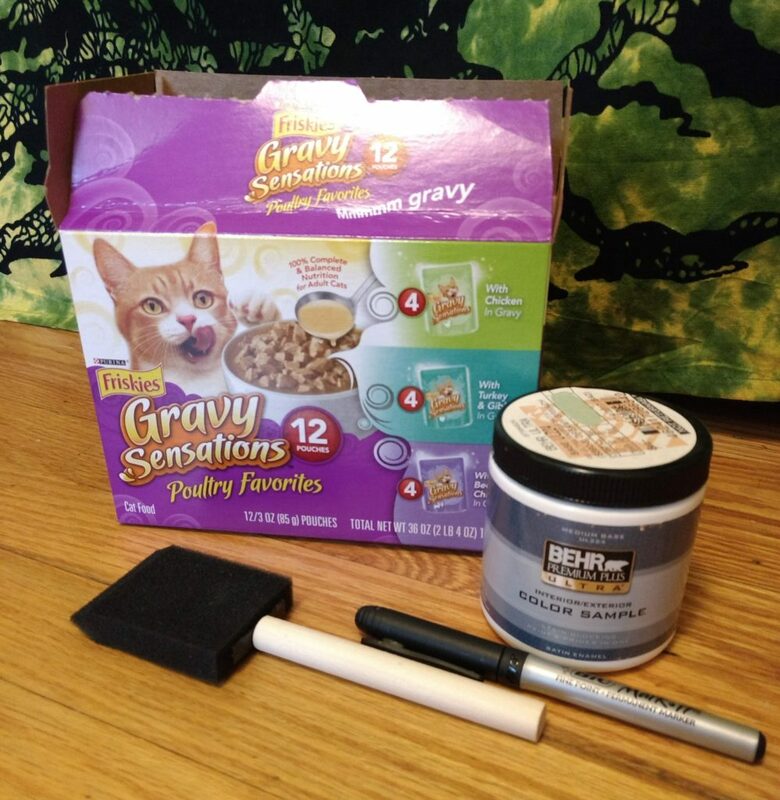 I used a foam brush and the cardboard cat food box because it’s what I had around. Get creative and see what you have lying around. How do you get rid of your pesky dry lint? Do you have a lint holder? Let me know in the comments!